"...Calm reaction of Russian President Vladimir Putin on U.S. decision to abandon the ABM Treaty of 1972 and signing SORT Treaty by him were unlikely motivated by new understanding the essence of nuclear deterrence in Valery Yarynich's interpretation. In new military and political situation, due to development of multi-echelone BMD by the US and offensive weapons reductions, these steps seem caused by the fact that one can ensure guaranteed adequacy of nuclear deterrence and state security within the frames of the SORT Treaty and at the same time not to rely upon a sense of an adversary only. The point is that in order to achieve this goal certain expenses to improve our strategic forces are required, which could have been avoided, if the U.S. remained within the frames of the 1972 ABM Treaty..." (Opinion: On Strategic Offence - Strategic Defense Problem, - in Russian, by Emid Ashratov, January 29, 2003; the author is Doctor of Technical Sciences, Professor, participant of negotiations on START Treaty between the U.S. and the Soviet Union). Сommittees of the State Duma continue their work on the text of the draft federal law on ratification of the SORT treaty. Russian MFA press release expressed the conviction that the necessary prerequisites are there for the ratification of the treaty this spring (Russian MFA Press Release On Meeting of Working Group of State Duma of the Federal Assembly on Preparation of Draft Federal Law on Ratification of the SOR Treaty, January 21, 2003). Two Tomahawk missiles were successfully launched from a missile tube of USS Florida ballistic missile submarine (which is planned for conversion from SSBN to SSGN along with three other Ohio-class subs), in demonstration and validation (DEMVAL) tests in the Gulf of Mexico off the coast of western Florida. The test was followed by Giant Shadow experimental anti-terrorist exercises that involve clandestine debarkation of Navy SEALs from the USS Florida. As long as Iraq is contained and UN weapons inspections continue unfettered there is no justification for a US-led invasion, according report by Carnegie Endowment for International Peace released last week. International community keeps trying to resolve the North Korean crisis by diplomatic means. Russian Deputy Foreign Minister Alexander Losyukov met on Monday with Northern leader Kim Jong Il. 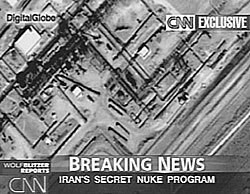 US media reported that SVR, Russian intelligence agency, conducted a clandestine operation together with CIA against North Korea in 1990's. The US intensifies pressure on the top two UN arms inspectors. 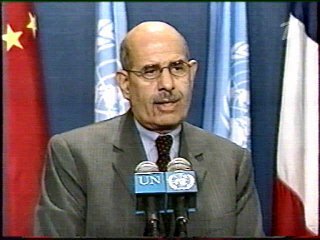 Hans Blix and Mohamed ElBaradei were firm that it is unnecessary to use force against Iraq. Transcript of a lecture on Soviet (Russian)-US Arms Control Agreements by Dr. Viktor Koltunov, Maj.-Gen. (Ret. ), former negotiator of the INF and START Treaties, is now available on-line (in Russian). The lecture was given on October 25, 2002 at the Moscow Institute of Physics and Technology within Non-proliferation and Reduction of Weapons of Mass Destruction Regime and National Security course offered by our Center. The Government of the Russian Federation has taken a decision on the steady financing of the projects under G8 Global Partnership agreement against the spread of weapons and materials of mass destruction. In 2003, the allocation of more than 204 million US dollars is envisaged for top-priority projects, within the next ten years it will amount to at least 2 billion US dollars: Alexander Yakovenko, the Official Spokesman of Russia's Ministry of Foreign Affairs, Answers Russian Media Questions About the G8 Global Partnership Agreement Against the Spread of Weapons and Materials of Mass Destruction, Reached at Kananaskis, January 10, 2003. 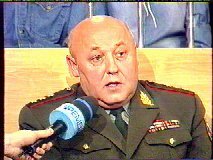 In his interview with Moskovskiy Komsomolets Col. Gen. Yuriy Baluyevskiy, First Deputy Chief of the Russian General Staff called upon maximum efforts to be taken for ratification of the SORT treaty: General's Horoscope, - in Russian, (by Yulia Kalinina, Moskovskiy Komsomolets, January 9, 2003). See also Col. Baluyevskiy's interview published in a recent issue of PIR-Center's Yaderny Control Digest (a PDF file). US Ambassador to Russia Alexander Vershbow said that there are no limits for cooperation between the two countries on missile defenses, and that the US is seriously eager to do it (Vershbow: Year 2002 Was a Successful one for US-Russian Relations, - in Russian, Interfax, January 8, 2003). Russia expects that this statement will help speed up a favorable American response to the draft proposed by the Russian side of a new political ABM agreement. North Korea withdrew from the Treaty on the Non-Proliferation of Nuclear Weapons (NPT) and threatened international community to revise its moratorium on ballistic missile tests. The US tries to find a diplomatic solution to this crisis with mediation by South Korea, Japan and Russia. Russian MFA announced that the basic elements of the package solution are already beginning to emerge. See also: Missile Plan Faces Obstacles, (by Maura Reynolds, Los Angeles Times, December 24, 2002), and STAR Site's special section Criticism of Missile Defense Programs (in Russian).